My experience as tenantsubmitted by Latoya J. - Mar 31, 2019 |Recommended: YesThe property is well maintained. Maintenance is excellent and completes requested work orders in a timely manner. The leasing office is very pleasant and they are always smiling. It's really quiet around here. I never hear my neighbors hardly. The only that I do wish is if the laundry card machine was accessible 24hrs but i do understand it is probably much safer to keep it in the office. I really have no complaints. Very Relaxing and Friendly Communitysubmitted by Richard B. - Mar 19, 2019 |Recommended: YesThe property is clean and comfortable and best of all affordable for what you get. You get access to all the necessary amenities along with a gym and an outdoor pool. The apartments are very spacious and the patio deck is a nice touch. Top notch apartments for students or anyone just starting out on their own. Amazing propertysubmitted by Ashley B. - Jan 14, 2019 |Recommended: YesI would tell them to definitely apply for the apartments. Everyone is super friendly and very courteous. Great place to live especially if you have children. Overall it's a decent place area but they do not fix things right away even when offered to do it yourself they dont allow it.submitted by Wolet L. - Dec 14, 2018 |Recommended: NoDon't because your not getting your money's worth. Very Good livingsubmitted by Richard K. - Nov 30, 2018 |Recommended: YesWe have lived here 20 years I think that pretty much says it all . The property is beautiful and so is my apartment. Had a rough time securing a place before i actually moved in and getting the correct lease.submitted by Sarah D. - Oct 12, 2018 |Recommended: YesIt's a beautiful place to live and lots of stuff to do nearby. A good first apartment. Great Choicesubmitted by Karilyn R. - Oct 04, 2018 |Recommended: YesGood Residential. Quiet, clean and service from Maintenance department is fast and effective.  First Apartment Valley Parksubmitted by Alexis K. - Sep 20, 2018 |Recommended: YesValley Park has pros and cons just like any other place. Overall, it has more pros than cons. Cons mostly being able to hear the upstairs neighbor walking around and staff not returning calls or taking great time to respond. Our apartment was not finished being remodeled until the day of move in and some painting and fixtures look rushed. Otherwise, the place looks clean and modern with a washer and dryer in the apartment. Parking usually is not an issue unless you have guests. Grounds are usually well maintained. Quiet, spacious, and clean.submitted by Jason K. - May 30, 2018 |Recommended: YesGreat, sometimes parking can be an issue and you need to keep contacting maintenance for clearing walkways- only issue we had.